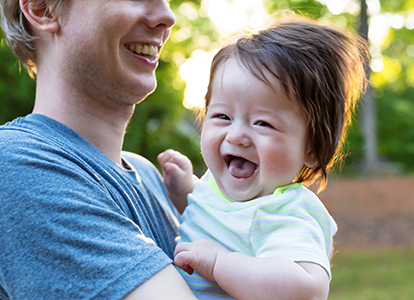 CatholicCare’s Adoption and Permanent Care Program is a state-wide service funded by the Victorian Department of Health and Human Services. The program assists both parents considering to place their child for adoption and families seeking to become adoptive and permanent care parents. This program is child-focused and aims to meet every child’s needs in the best possible way. We also have an Adoption Information Service providing information about past adoptions arranged by our agency. Adoption is the long-term care of a child aged 0-12 months who has been relinquished by their natural parents. When a child is adopted, the adoptive parents receive full parental rights, and so the child’s birth certificate is changed to reflect the child as having been born to the adoptive parents. Children in adoptive care are entitled ongoing contact with their natural parents up to four times a year, and natural parents are entitled to information exchange of photos and updates on the progress of their child. Permanent care is the long-term care of a child aged 0-12 years, where they are in need of stability and consistency. Children placed in permanent care have been removed from the care of their natural parents due to significant safety concerns of the child. When a child is placed in permanent care, their birth certificate will not be changed and they will keep the surname of their natural parents. Children in permanent care are entitled ongoing contact with their natural parents as well as information exchange of photos and updates on the progress of the child. Permanent care is only available in Victoria, and may be considered the equivalent of an adoption order for older children in other states of Australia. Foster care is the temporary care of a child who cannot live with their natural parents for a range of reasons, whether voluntary or court ordered. This temporary care can mean an overnight stay or care ranging up to or longer than a month. CatholicCare does not have a foster care program, but we work with children in foster care who are in need of long-term care. Our adoption program arranges placements of infants aged up to 12 months who have been voluntarily relinquished for adoption. 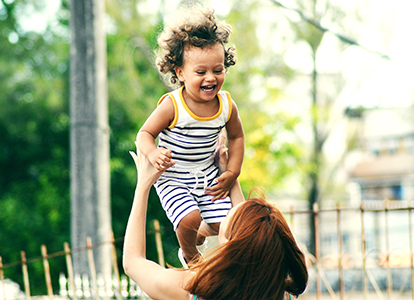 Through granting of an Adoption Order, the adopted child legally assumes all rights and privileges as a birth child, including the right to inheritance. A new birth certificate is also issued. The child’s background however is always acknowledged and ongoing contact with their birth family is encouraged. We will offer counselling and support around contact and information exchange with the adoptive family. Our support can continue after the Adoption Order has been granted, depending on the circumstances. Our Adoption Information Service provides information, records release, search, outreach and mediation services in relation to past adoptions arranged by CatholicCare and our predecessors Centacare Catholic Family Services and Catholic Family Welfare Bureau. You are welcome to contact us to enquire about information on a child adopted from the St Joseph’s Foundling Hospital/St Joseph’s Babies Home in Broadmeadows. Permanent Care provides a stable and secure permanent placement for children aged up to 12 years when the Children’s Court has ordered that a child cannot live with their biological family. Providing a vulnerable child with ongoing love and stability, watching them grow and overcome their initial difficulties and make developmental gains is a very rewarding experience. The program welcomes applications from both single people and couples who reside permanently in Victoria. Extended support after the Permanent Care Order has been granted, if required. Our Adoption and Permanent care service is offered state-wide; we can work with clients and agencies anywhere in Victoria.